If you don’t remember when you bought the makeup in your cosmetics bag, it might be time to have a real look at what’s in there. That’s because, if you’re playing by the makeup rules, you should not have anything in your makeup collection that is older than two years old. Yes, you heard it here first, folks. It’s long been known that mascara should be thrown out after three months to avoid eye infections or unwanted germs, eyeliner and eyeshadow should be ditched after six months of use, and concealer and foundation are only good for a year before they need to be replaced. So, if your old makeup has been around for longer than you can remember, it’s time to say buh-bye. 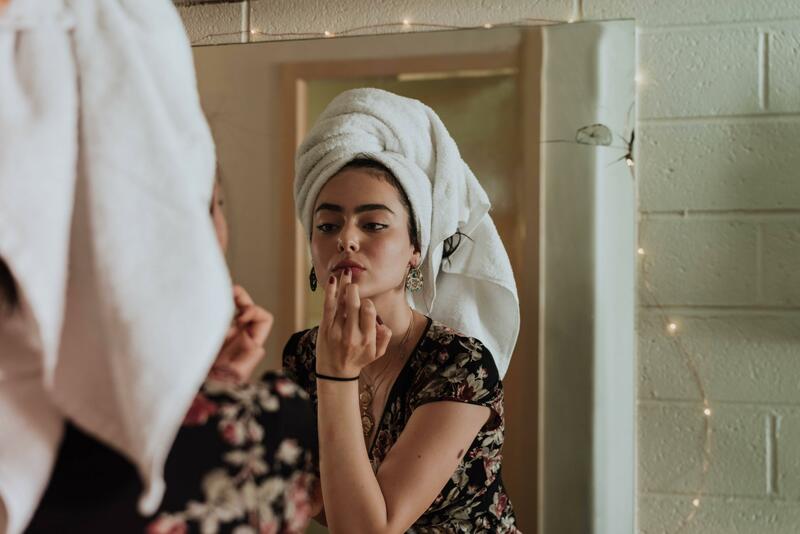 Although many cosmetics products are laden with preservatives and additives to make them last longer and look good for the rest of time, that doesn’t mean they’re good to use until you get old and gray. If your makeup starts to smell, it’s a good idea to just immediately throw it out. That’s because smelly makeup is a sure sign that your makeup is out of date, but it’s also a sure sign that you should not be putting it on your face. Unwanted smells normally mean unwanted germs, and putting these germs on your face will normally result in spots, blemishes, hives, and other health concerns. Most of the time, your makeup should be smooth and easy to apply. After all, they wouldn’t make something that’s difficult to apply! However, as makeup ages and the months pass by, your makeup is more likely to get thicker, clumpier, and sometimes even pretty gloopy. This can make it incredibly difficult to apply and remove, which shouldn’t be the case. If this does happen to you, it’s probably about time that you throw away your old makeup and buy some more. Everyone loves a makeup shopping trip, right? Although it’s often hard to part with our beloved makeup, it doesn’t have to be the end. If you realize that it’s time to throw away your old makeup, this just gives you an excuse to go to the store and replace it.